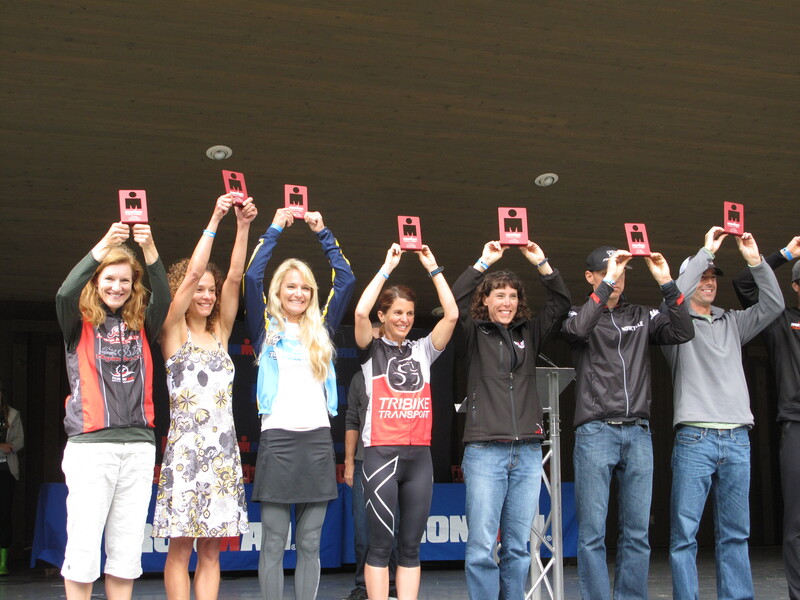 Nearly 30 TeamEN athletes competed at Coeur d’Alene this year. 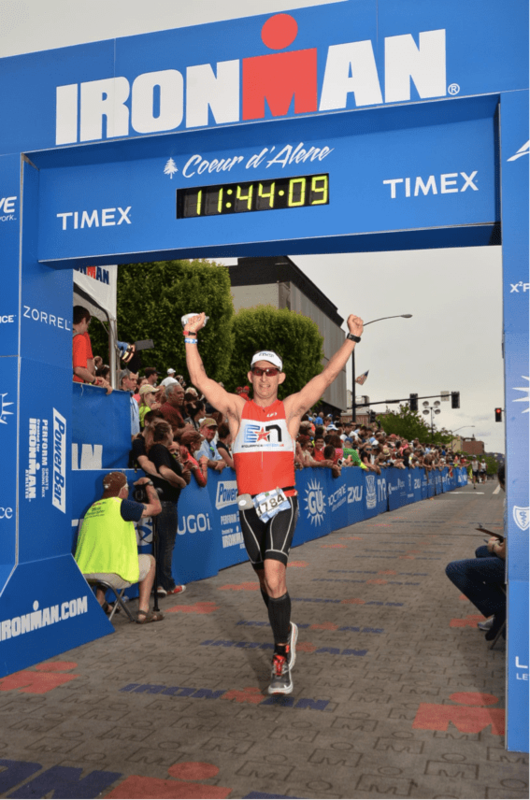 2013 was the 11th running of the event, the first year of Ironman’s new swim start protocol, the second year of the third permutation of the bike course and second year of the second iteration of the run course…yep, Endurance Nation has a loonngg history at Coeur d’Alene! Bring everything you need to race in any conditions. Ignore the weather report for Sunday until about 3pm on Saturday. Coeur d’Alene has had some cooolllddd water in the past but 2013 was a comfortable ~62f. 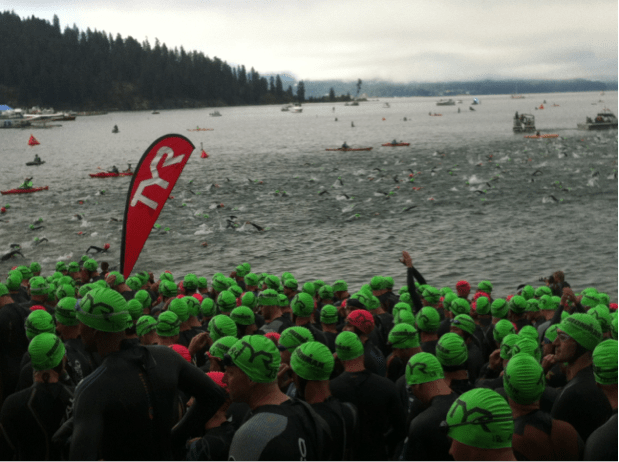 In the past, Coeur d’Alene’s swim, with mass start from a fixed square footage beach and the first turn buoy only about 800 meters out, has earned the well-deserved reputation of being one of the rougher(est) swims on the US Ironman® circuit. 2013 marked a dramatic change in Ironman’s swim start protocol and by all accounts it worked very well. In our opinion, an Ironman® is challenging enough as a 2.4 mile swim, a 112 mile bike, and 26.2 mile run, without adding a drowning survival exercise on the front of the day. We support any changes that make the event safer and more about the distance of the race and less about…getting the crap beat out of you. For the old skool types (we are them) who lament the potential passing of the mass start swim, we say relax. We are skinny middle-age folks in point helmets wearing funny clothes and moving from buffet table to buffet table. We are not as badass as we think, this is all just a game, and improving the safety of the event can’t be a bad thing. For a very complete discussion and lessons of how exactly the Coeur d’Alene swim start worked, please listen to the first 10 minutes of Coach Rich’s race report podcast with Dino Sarti here. Read our Six Secrets for riding the Ironman® bike course. Read about the true measure of an Ironman® bike course’s difficulty. Learn to ignore wind → we don’t ride harder into the wind or back off the gas with the wind. ~3 mile admin section through town / neighborhoods where it’s very easy to run too quickly. A hilly ~2 miles as up, down, flip it and come back. On the second lap this section hits you right at about mile 18 or 19, just when the race starts to get very difficult. So the Coeur d’Alene run is largely about playing defense until you hit the bottom of this hill on your second lap. Flat along the lake, up a hill you swear wasn’t there the first time you went down it, admin and turns, turns, and more turns back into town. An awesome left on Sherman at the end of the second lap and a downhill run to a finish line that you swear is moving away from you! This year the weather cooperated wonderfully and athletes reported no significant difficulties dealing with heat or hydration issues. Our experience has taught us that there is no better way to learn how to race a course than by learning directly from the experiences of others. We have a long history and extensive library of race reports in our members-only forums and we’d like to share with you now a few of our 2013 additions. Note that each of these race reports includes a 30-50 minute podcast interview with Coach Rich, so be sure to check those out as well! Mark Cardinale, nearly even split run. Racing Coeur d’Alene in the Future? Read our complete race breakdown of the event — weather, timing, our opinions on the course and much more!